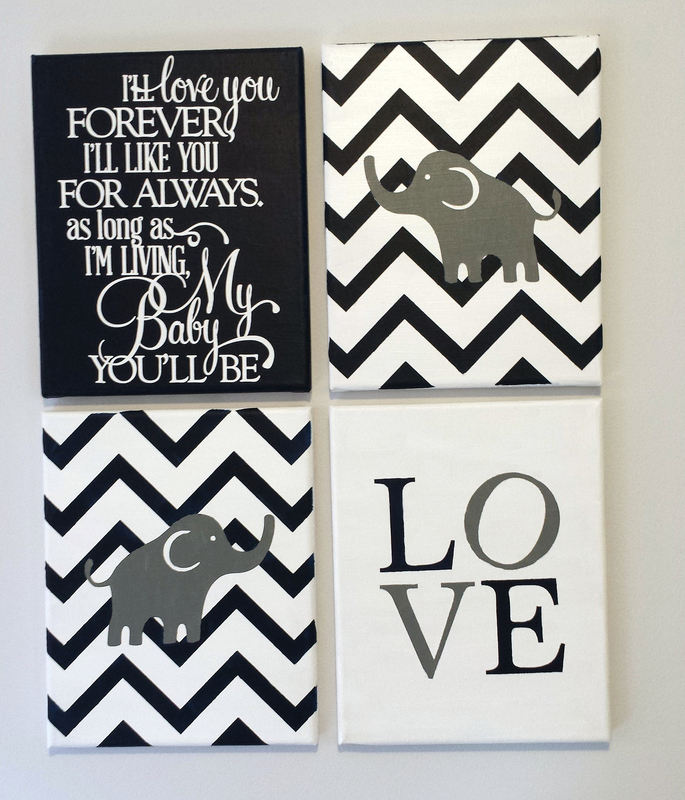 The nursery has a navy, gray, and white theme with elephants and chevron. I originally fell in love with a set of prints I found on Etsy via Pinterest. However, I really wanted them on canvas and not paper. So, I tried to recreate some of the designs (the elephant and “LOVE” ones) by making vinyl stencils on my Silhouette Cameo and painting them with acrylic paint. Each canvas was brushed in white paint (top and all sides) and left to dry. Using the Silhouette, I created my design and cut stencils out on vinyl. Each vinyl stencil was stuck on the canvas. Paint over the stencils and peel the vinyl back. Done! For painting long quotes, brush another layer of white paint on top of the entire canvas, including the letters. This is really important. Do not skip this step! Otherwise, you risk the paint bleeding through the stencil and the letters will not be as sharp/crisp as they could be. 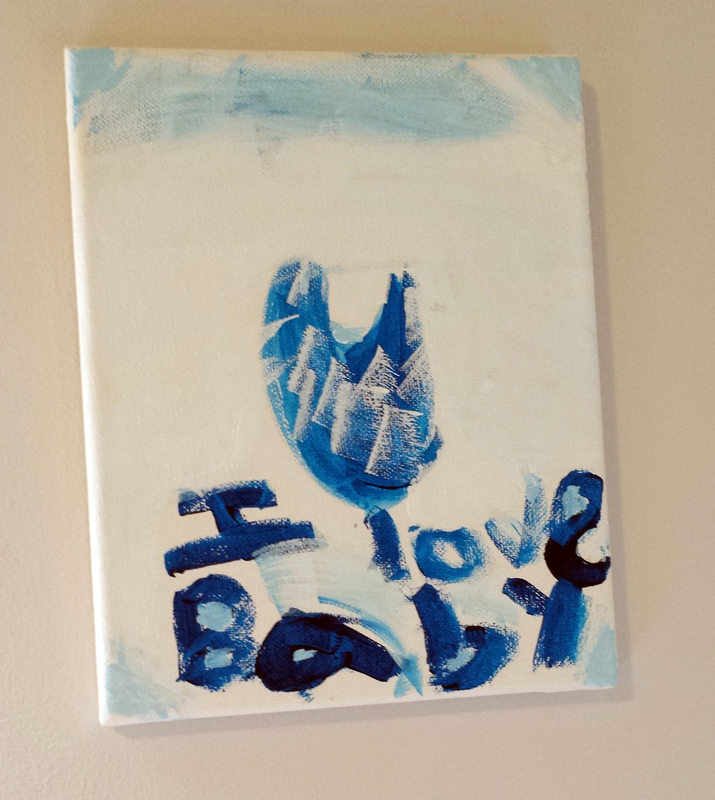 Once it dries, then brush your background color on top of the entire canvas, letters included. When you peel each letter back, you’ll be happy that you took the extra time to paint the white layer in between.